3x points on dining. 4x points on gas. 2x points on all purchases. It’s easy to see these bonus categories on credit card offers and assume that those points are all created equal, but that couldn’t be further from the truth. Credit cards can more or less be divided into two categories: Cash back and travel. Cash back cards are simple enough to understand: Every point you earn is worth $.01. Most let you redeem those points as statement credits or gift cards to various merchants, but the exchange rate is almost always the same. Things get a lot more complicated, but also a lot more lucrative, when it comes to travel cards. 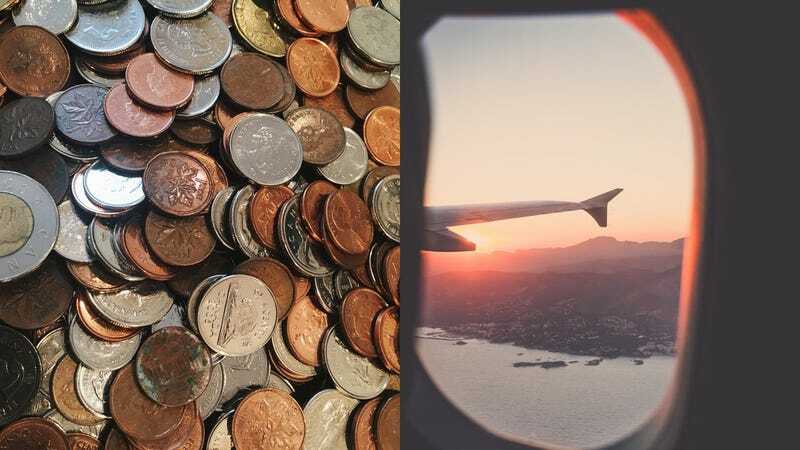 While they use the same “points” terminology as cash back cards, most of those points are worth more than $.01 each if you use them for travel. Sometimes a lot more. Travel cards include airline and hotel-branded cards that deposit points directly into your loyalty program account, while other cards like the Chase Sapphire Preferred and Sapphire Reserve grant points that you can use to pay for travel through an Expedia-like booking service (at 1.25 cents per point on the Preferred, or 1.5 cents on the Reserve), or transfer to a variety of hotel and airline partner programs to redeem for free rooms and flights. It’s not hard to find a $100-$150 hotel room that you can book for 5,000 points through Hyatt’s loyalty program (a value of 2-3 cents per point), or a Southwest flight valued at 1.5-2 cents per point. If you get really exotic, you can find even more value by, say, booking Delta flights with Korean Air points that you transferred from Chase, or an American Airlines flights with British Airways miles. The value of those points will vary considerably based on how you spend them, but they’re almost always worth more than $.01 each. Chase even lets you combine the redemption flexibility of its Sapphire cards with the earning potential of its Freedom-branded cash back cards. If you have a Sapphire Reserve or Preferred, you can convert the $.01 cash back points from your Freedom Unlimited or Freedom card into more lucrative Ultimate Rewards points. So if you valued Ultimate Rewards points at $.02 each (conservative, in my experience), then you’d derive a value of at least $.03 per dollar on everything you buy, assuming your baseline, non-bonus category purchases were made with a Freedom Unlimited card, which earns 1.5 points per dollar on all purchases. And Chase Freedom’s rotating 5x bonus categories? Those would be worth a whopping $.10 per dollar, assuming you converted them to Ultimate Rewards points and used them wisely. To be fair, transfer partners can leave programs, rewards programs can be devalued, and figuring out how to best use your travel rewards points can be a stressful exercise. If you’d rather just know what your points are worth, and spend them on things other than travel, then cash back cards might be a better fit for you, especially since they usually don’t carry annual fees. But of course, this is all moot if you don’t pay off your cards in full every month: credit card interest rates mean that carrying even a small balance can wipe out any gains you make from collecting points, so use your cards responsibly. What cards do you have in your wallet? Travel cards, cash back cards, or a mix of both? Let us know in the comments.